After spending countless hours planning every little detail of your ceremony and reception, it may come as a shock that you have yet one more event to plan: The Rehearsal Dinner. 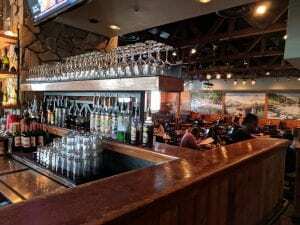 Usually held at restaurants close to your ceremony or reception space, the rehearsal dinner is where you and your bridal party join for a meal and drinks after practicing the details of the ceremony. Since it’s hard to imagine planning one more thing, we here at Magnificent Moments Weddings, figured we would help out and offer some great locations for these fun dinners. Over the next few months, we plan to share rehearsal dinner spots based on location in the Queen City. Today we will focus on the Ballantyne region and give you our top Ballantyne rehearsal dinner spots to dine in style! 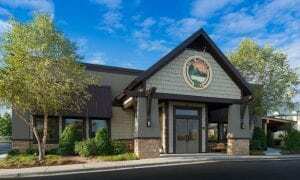 Stone Mountain Grill has a great centralized location in Ballantyne right off Ballantyne Commons Parkway. The feel is that of a relaxed mountain lodge retreat, which makes it a cozy setting for you and your closest friends and family. The site has a great outdoor patio space that can accommodate up to 50 people, which is perfect for a rehearsal dinner. They offer plated sit down options as well as buffet choices. Their menu includes out of this world burgers, tacos, and salads, having something to fit every taste. 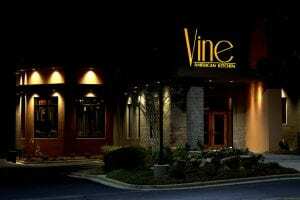 Vine American Kitchen is an upscale restaurant, serving high-end fare featuring organic & local products in a sophisticated space. Their fireside terrace can accommodate 48 guests for a plated dinner or 55 for a cocktails service. There expansive menu has so many great options, including higher end cuts of meat and decadent dessert options. Looking for something a little more relaxed? 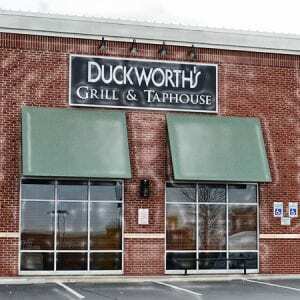 Duckworths is a great option, this local pub chain serves BBQ, pizza, burgers & more, all in a sports bar atmosphere. 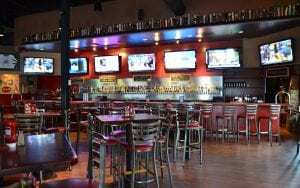 Plus with over 80 beers on tap, it is sure to please your groom and groomsmen! You and your guests can enjoy a laid back evening enjoying great food and drinks before the more formal aspects of your big day! Ballantyne is full of great restaurants to host your rehearsal dinner. 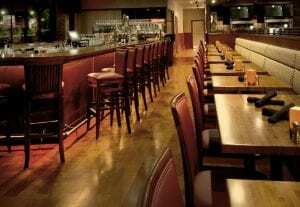 So don’t stress, give some of these locations a call and you’ll see just how easy it can be to check “rehearsal dinner” off your wedding to-do list! Want more great ideas planning your big day, contact Magnificent Moments Weddings! We would love to help make your wedding day dreams come true!